Pray for a Mentor—Anytime I’ve needed a mentor or coach in my life I’ve always prayed over who that person should be. Sure, there may be a number of people in your circles, but who would be “right” for you? This season you may need someone different mentoring you than you will a year or two from now. We learn different things from different people. Who do you highly respect? Who has reached some of the goals you’ve set for yourself? 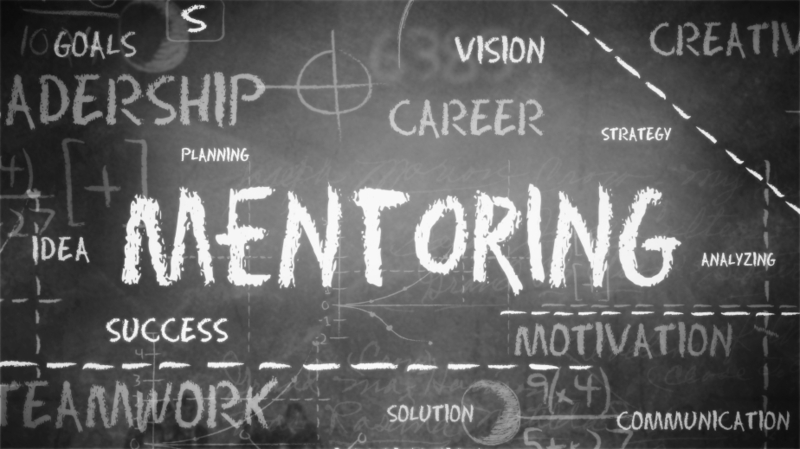 Next ask yourself who would be your first choice as a mentor? How about your second choice? Make the Ask—After you have considered the possibilities for a mentor, it’s time to make the ask. Just so you know, this part is often quite intimidating. Asking someone if they will mentor\coach you means that you should be willing to receive a “yes” or “no” answer. I’ve been turned down many times when I have asked someone to mentor me. You must not let a “no” overwhelm you. Sometimes people are not able to coach\mentor additional people or they have other reasons why they cannot commit to you. Respect whatever answer you are given. If the first person says “no” to you, make the ask to your second choice. Clarify Your Expectations—When asking someone to mentor you, you should be clear on what you are expecting out of that mentoring relationship. Some people have specific things in mind for their time with their mentor (such as, reading books together, just a question\answer time, Bible study, or simply hang time) in addition to the number of times they would like to meet and how long those meeting times should be. A good coach or mentor may ask you upfront what your expectations are, but you still need to be very clear on what you are expecting from them. Cultivate the Relationship—Do your part to not only respect the relationship with your mentor but also to cultivate the relationship. I’ve mentored many young leaders over the years and it’s such a joy when I invest in someone who respects my time with them (as I respect their time too), encourages me, offers to buy me coffee or lunch, shows genuine interest in my well-being (as I do theirs), and listens to and heeds my counsel! —LOOKING FOR A YOUTH MINISTRY MENTOR\COACH? I’m about to offer some more mentoring myself. If you are in the field of #YouthMinistry, have been in the field for five years or less, and are looking for a coach, I may be able to serve you! I just announced my next Youth Worker Online Coaching Network. I’ll be able to coach only 10 leaders this season. If you would like to apply, please click [here]. Hurry, time and space are limited! Youth Motivational Speaker, Comedian, Writer, Consultant, Mentor to Youth & Youth Workers, Churches, Charity, Leadership. Learn more at terracecrawford.com.